Soviet War Memorial in London. All welcome to join war veterans in solemn ceremony. Holocaust Remembrance Day will be marked in London on Jan. 27 at the Soviet War Memorial not far from the Imperial War Museum in south London, the Russian Embassy in the UK says. 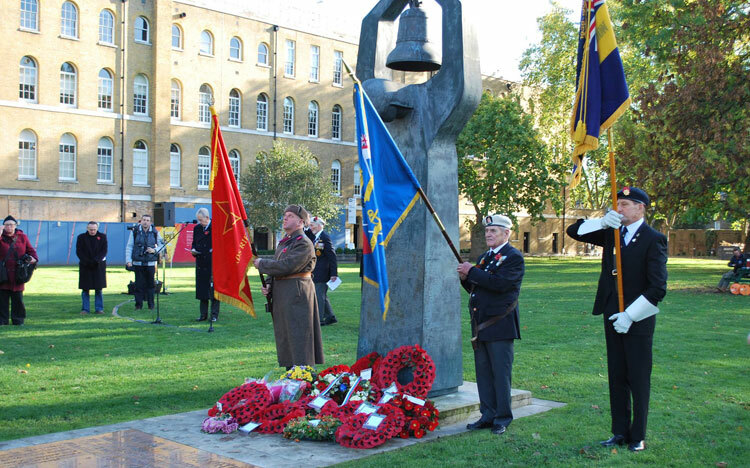 Local authorities, embassies of Russia and CIS countries and veterans of WWII will join a procession to the memorial, which is situated in the Geraldine Mary Harmsworth Park, Southwark. The annual ceremony marks the friendship and collaboration Russia and the UK enjoyed during World War Two and the two countries' joint efforts to fight the Nazis and their regime, which brought death and harm to millions of Jews and others. All are welcome to join the ceremony, which begins at 11am at the park, in Lambeth Road, London, SE1 6HZ.